Devin is a member of the Litigation and Employment practice groups, centering on company, school district, and employer compliance and liability under federal and state employment laws. She focuses her practice on defending employers against claims brought by former or current employees under Title VII of the Civil Rights Act of 1964, the Americans with Disabilities Act, the Family Medical Leave Act, and the Fair Labor Standards Act. She also has experience defending employers from claims brought by the Equal Employment Opportunity Council (EEOC) and the Ohio Civil Rights Commission (OCRC). She regularly handles compliance issues, including job descriptions and applications, employment contracts, non-competition agreements, and release and separation agreements. Devin was admitted to the Ohio Bar in 2017 and is also admitted in both the Northern and Southern Districts of Ohio. 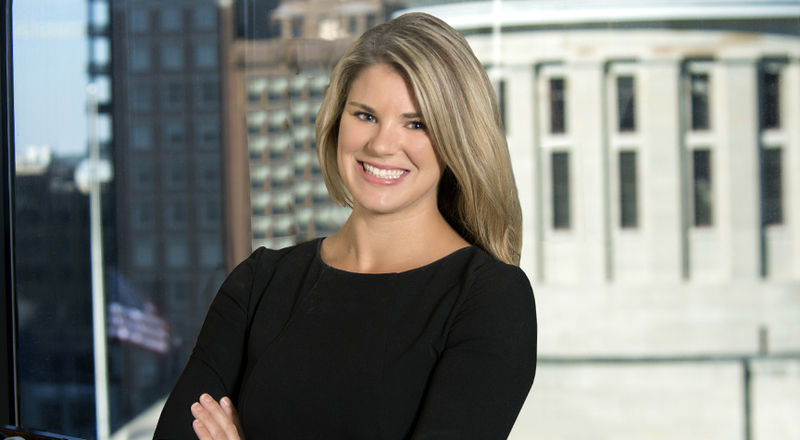 As a graduate of The Ohio State University College of Law, Devin was selected for the 2016 Legal Writing Fellowship and received a specialization certificate in addition to her Juris Doctorate. She served as Executive Editor for the Ohio State Journal on Dispute Resolution, the American Bar Association’s Official Journal for the Section on Dispute Resolution and her law review article was published in the Journal’s 32nd Volume.